I wish I had a picture of the fig tree my mother’s friend Anna had outside her duplex vacation cottage at Virginia Beach. My mother loved fresh figs, and she had special permission to stop by in fig season and pick some if she happened to be at the beach. I was with her once, and it felt very strange to drive down virtually uninhabited 80th Street and turn down the little drive to the family side of the cottage. We had often stayed on the other side, which I guess the family rented out to friends, or friends of friends. It was considerably more rustic, and I have many happy memories of sleeping with an open window and hearing the sound of the surf on the other side of the dunes, as well less pacific memories of a rainy Memorial Day weekend during which we played a geography alphabet game almost to the death, and certainly to the pain. The day we went seeking figs, I was a young adolescent, maybe 13 or 14, and I was mortified by the idea that someone might see us and think we were stealing figs or hanging around somewhere we shouldn’t have been. I clearly had no idea how unlikely it was for a white woman nearing 50 and her young teenage daughter to get in trouble on a non-gated street of beach cottages on a fall afternoon in 1975. I didn’t like figs, or I didn’t think I liked them, and that made me even more surly about the whole adventure. So it was hard for 1975 Martha to imagine why Jesus would have cared about getting a fig, would have cared enough about picking figs and eating them to get angry and curse the tree. We’re in an odd place in Mark’s gospel. Jesus’ arrival in Jerusalem is considerably less climactic by Mark’s telling. He looks around at everything in the Temple … and then he goes back to Bethany. This incident with the fig tree is his second entry into the city, then, and he is probably already agitated. He’s hungry! He sees a fig tree, and who knows what kind of emotional and gustatory memories are stirred within him. The season is right, and the tree is in leaf, but there is no fruit! He loses his temper. He curses the tree. Worked up, he goes to the Temple and knocks things over; he tells the people things are not as they should be. “x” marks the spot of the cottage where the fig tree grew. 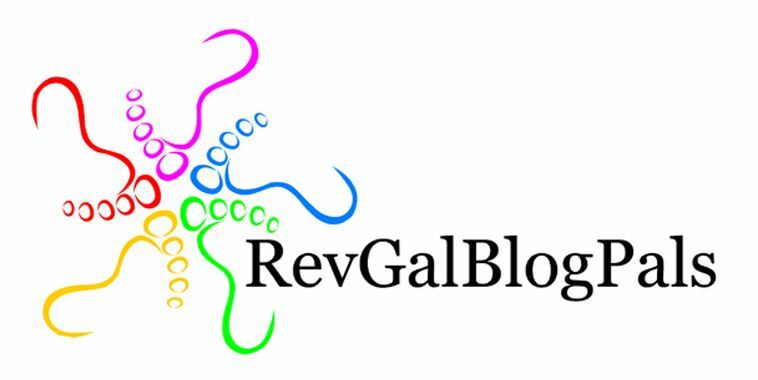 I’m not saying it was all about that fig tree, but it certainly crystallized something. 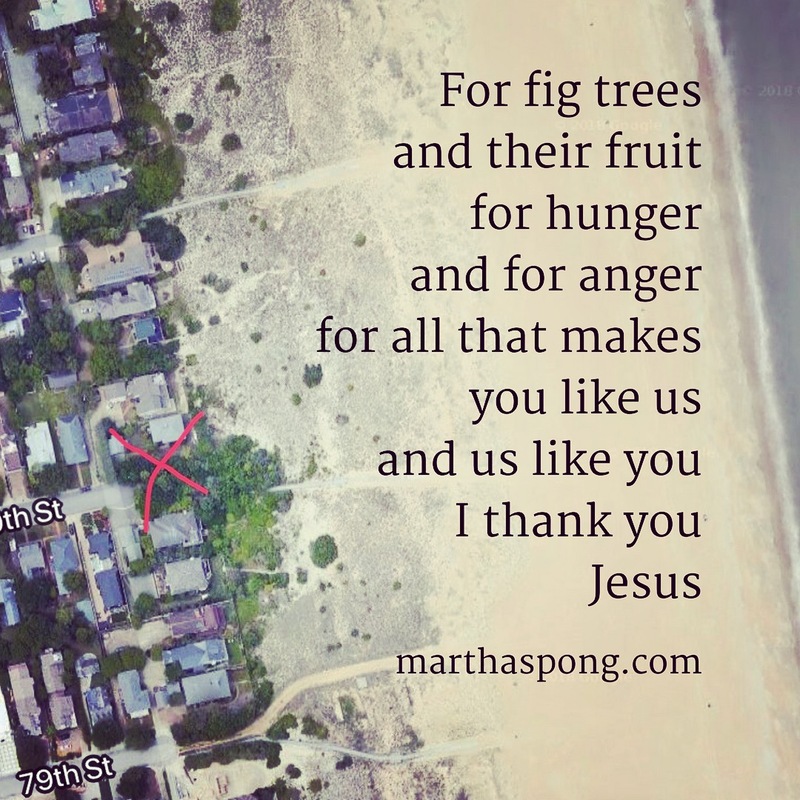 Maybe his entire human existence flashed before his eyes in the memory of a fig tree his mother tended; maybe a neighbor gave young Jesus permission to stop by and pick a fig whenever he liked. It’s odd, and so specific, and so human. My mother found figs that day at Virginia Beach. I was 14, and I thought she was odd, but I spent more time today than I would like to count on Google trying to find pictures of the cottage and the street, trying to bring back emotional memories this passage stirred in me.